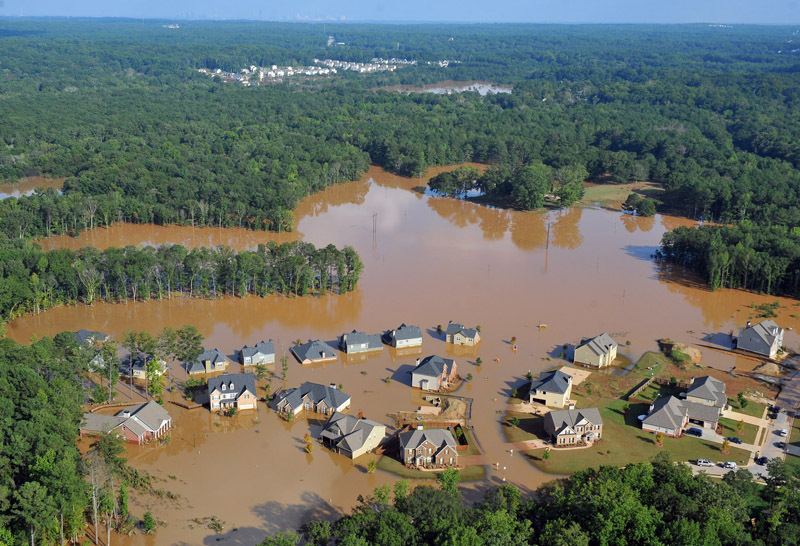 The historic flooding in September 2009 severely impacted not just Douglas County, but 22 other counties according to The Federal Emergency Management Agency (FEMA). Ten human lives were lost, thousands of homes and businesses destroyed and approximately $500 million in damages were reported. People clung to trees for their lives for hours, while some were swept away with rushing waters. Hundreds were rescued from homes and cars via boats. Major interstates had closures along with approximately 300 roads with closures or complete destruction. 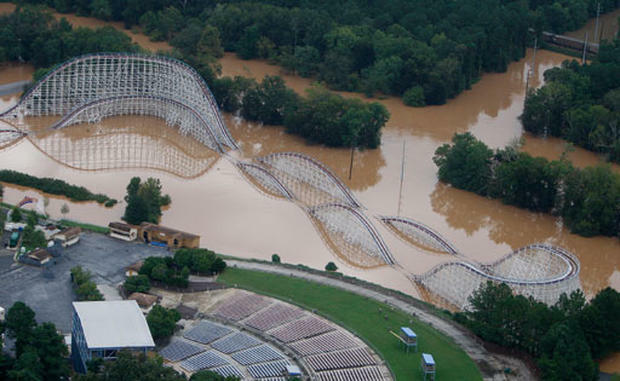 The amusement park Six Flags over Georgia even suffered from the floods. Unfortunately this isn’t a made-up spooky story told around the bonfire. This was indeed a true life horror story that will never be forgotten. While this disaster affected so many close to home here in Douglas County, floods are more common than we think. According to the American Red Cross (ARC), “floods cause more damage in the U.S. every year than any other weather-related disaster.” SERVPRO, a leader in cleanup and restoration, reports that “floods are one of the most common and widespread natural disasters in the United States.” Another scary fact is you don’t have to be in a high-risk area to experience a flood. 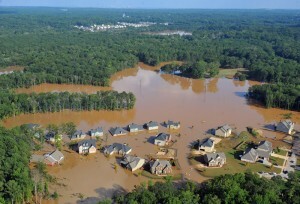 20% of claims paid by the National Flood Insurance Program (NFIP) are for policies in low-risk areas. Many people think that whether they live in a high or low risk area, flood damage is covered under their homeowners policy. It is NOT federally required, so it isn’t covered under your homeowners policy. However, if you think your home could be in danger of rising flood waters, we strongly recommend you consider flood coverage offered through the NFIP federal program administered by the Federal Emergency Management Agency (FEMA). 1. AVOID FLOODWATERS – As little as six inches of fast moving water can sweep you off your feet. 2. DO NOT DRIVE IN FLOODWATERS – Swiftly moving water can sweep away a car in less than two feet of water. If you do get caught in floodwaters, get out of your car immediately and move to higher grounds. 3. KEEP CHILDREN OUT OF WATER – Children are curious by nature, so take this advice seriously! They often lack the judgement about running water or contaminated water. Earlier this year, Sleek & Williamson shared 3 Tips Douglasville Residents Can Use to Prepare for Severe Weather. Those tips included: #1 – Have a Plan of Action; #2 – Have an Emergency Supply Kit; and #3 – Understand Your Policy. Please review these tips and prepare today. Following these tips can mean the difference between life or death for you and your loved ones. If you need to review your insurance policy or consider additional flood coverage offered through the NFIP, contact the professionals at Sleek & Williamson at (770) 489-2403. If a severe weather disaster does happen, you can be sure we will be there for you every step of the way.